Today is my last work day before vacation, so naturally I'll be getting very little done because the struggle to stay focused is so very real. 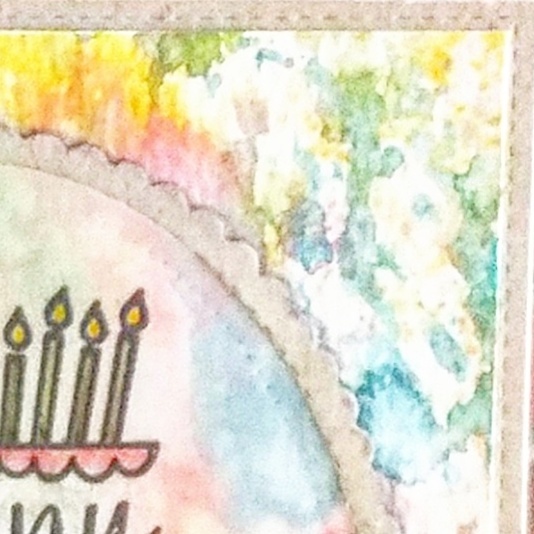 Here is a sneak peek of my card that will be up on the Butterfly Reflections, Ink blog tomorrow. The colors will just make you swoon, I swear. You might be wondering about my blog post title, so let me explain. A few weeks ago I posted about some ideas for what to do when your creative juices have seemingly dried up and your mojo is nowhere to be found. There was one tip that I did not talk about, but it's one that I try to practice on a somewhat regular basis. I think it's important to avoid putting all your creative eggs in one basket. I am a cardmaker, and I habitually practice, study, and learn techniques to sharpen my cardmaking skills. But I have other creative interests. Pursuing those other creative interests helps sharpen my cardmaking skills. For instance, I dabble in graphic design. When I say dabble, I mean......barely enough to call it dabbling. And when I say graphic design, I mean.....I use web-based programs to help me. It's not like I just open a blank document in the Adobe Creative Suite and pull something out of my tush, willy-nilly. 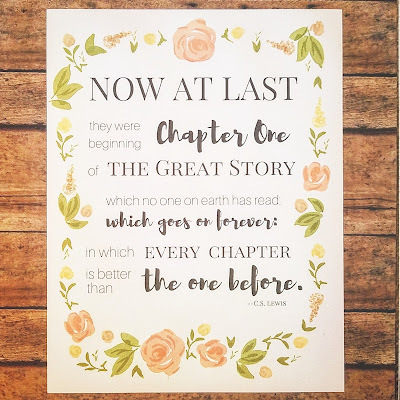 Here's a very specific example of how pursuing another hobby helped my cardmaking. Creating a scene is a technique in cardmaking that is sometimes very difficult for me, and that's because I am a detailed person and less of a big-picture thinker. 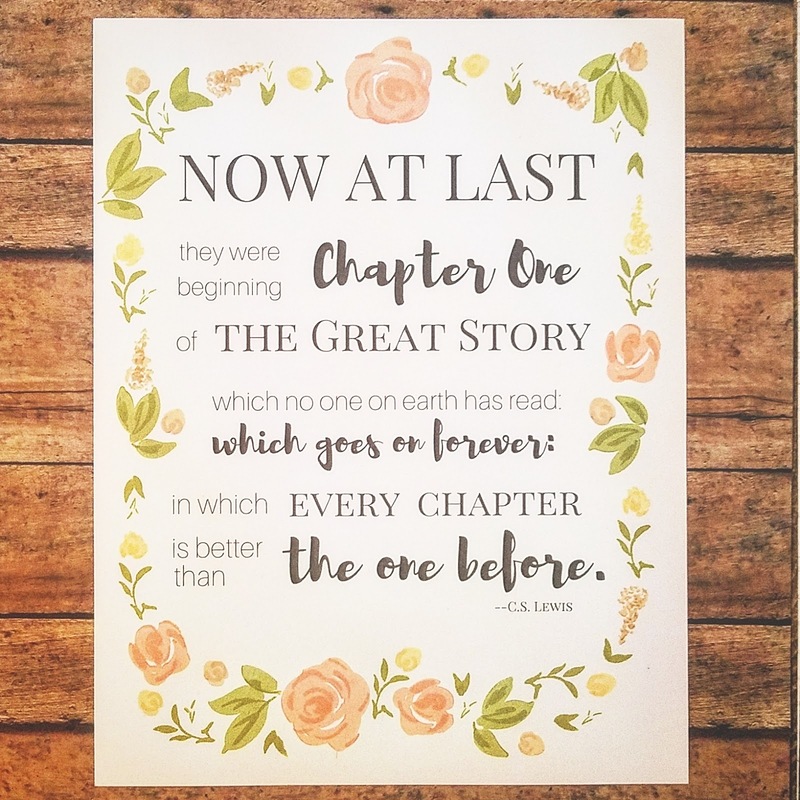 But a couple years (yes, I said YEARS) ago, I got an idea into my head to create a print of some of my favorite words in all of literature. A month ago, I wanted to take a break from cardmaking and pursue something else for a short time to let my cardmaking muscles take a break. So I decided to exercise my big picture muscles and create a larger project. I designed a print and then used some of my cardmaking stamps to embellish it. When I'm used to looking at a "canvas" that is 4.25" x 5.5", it's actually really intimidating to think about creating something that was 8.5" x 11". I looked at a blank screen and all.the.white.space just SCREAMED at me. But then I just started typing, designing, etc., and before too long I got a big picture in my head of how I wanted this print to turn out. By the time I was done, I felt like I had learned a lot about composition (which is the aspect of cardmaking that I struggle with the most) and restraint. Oh my goodness.......I know I just said I struggle with composition the most, but as I'm writing this out, I'm thinking "Well....actually I probably have just as hard a time with showing restraint". So yeah, it's probably 50/50! And don't get me started on color combinations.....phew. It's a miracle that I churn out ANYTHING that's remotely pleasing to the eye. Ok, so maybe I struggle with lots of aspects of cardmaking equally. I'm a work in progress. Anyway, my point in saying all of this is that instead of being convinced that you're going to pursue one area of creating and then ignoring any other interests, you are handicapping yourself in the long run! So if you're a cardmaker like me, don't be afraid to make friends with all the fun needle art crafts there are out there. If you're a photographer, get some blank paper and some cheap watercolors and a paintbrush, and just see what happens! When you let yourself be uninhibited, you'll find inspiration in the most unique places! Thanks for stopping by today and don't forget to check out my card tomorrow on the blog!